If you need a Fairfax reckless driving attorney call Nichols & Green pllc (703) 383-9222 for a free consultation with Mr. Green and Mr. Nichols. Luke J. Nichols has made a career out of defending hundreds of reckless driving cases in Fairfax County and northern Virginia. Luke Nichols has made a career out of defending reckless driving cases here in Northern Virginia. Mr. Nichols has completed the NHTSA based law enforcement training for speed enforcement and for police speed enforcement instructors. 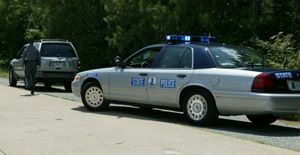 This includes being trained on same radar, lidar and pacing techniques and equipment used to write reckless driving by speed tickets here in Fairfax. Mr. Nichols is also the author of several books on Virginia traffic law including “The Virginia Reckless Driving Handbook” which is now in its 3rd edition. 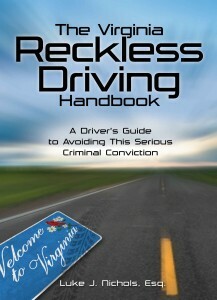 Call (703) 383-9222 for a free consultation and free copy of the Virginia Reckless Driving Handbook by Luke Nichols. In addition to writing, Mr Nichols also teaches Continuing Legal Education seminars on issues related to reckless driving and DUI defense. He is also an active member of the Prince William County and Fairfax County Bar Associations and a member of the National College of DUI Defense. Mr. Nichols has defended hundreds of drivers accused of reckless driving and you can see dozens of reviews, written by Mr. Nichols former clients at Avvo.com. 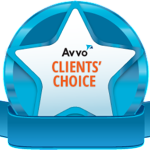 Mr. Nichols has also received Avvo.com’s highest recognitions and has been chosen as 2015 Rising Star, by SuperLawyers.com. Click here to read dozens of reviews by previous clients of Luke Nichols. 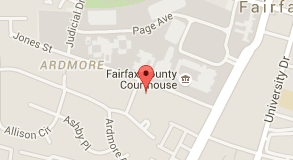 Garrett D. Green has over 25 years of legal experience in Fairfax County courts. Call (703) 383-9222 to receive a free consultation from Mr. Green. Garrett Green has been practicing law in Fairfax County for over 25 years and is a pillar of the Fairfax County Defense Bar. Mr. Green defends hundreds of Fairfax, Vienna, and Herndon reckless driving cases each year. Mr Green is extremely well liked by his clients and peers and have received well over 100 glowing online client reviews. 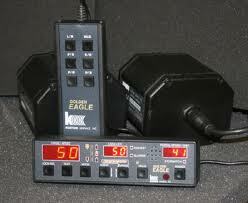 Mr. Green is in Fairfax County traffic court defending reckless driving cases almost every day that the court is open. Mr. Green is a top tier negotiator and if an alumni of Hamilton College and the Syracuse University Law School. Mr. Green’s clients have left over 100 reviews online. Click here to read what people like you have had to say about Mr. Green.